One major trend from the past few years is the rise and democratisation of ‘additive manufacturing’ or its much sexier common denominator, 3D printing. We recently highlighted 10 interesting European startups in this space, and one of them was Amsterdam-based 3D Hubs. 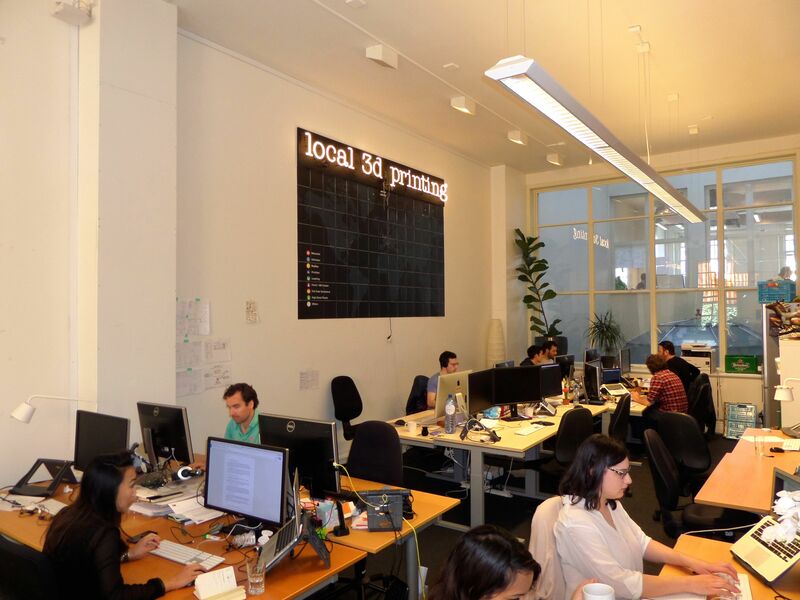 As part of my recent tech startup tour in the Dutch capital, I stopped by the startup’s offices to see what all the fuss is about. 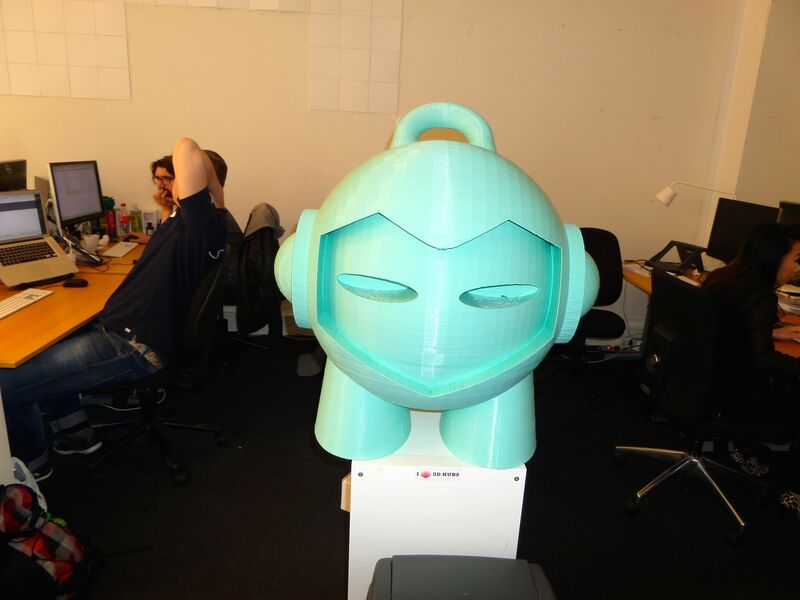 It was good timing, too, as 3D Hubs was about to announce a number of interesting things. I caught up with Brian Garret, who co-founded 3D Hubs a little over two years ago and helped the company raise more than $4.5 million from Balderton Capital and others. You can watch our interview above. 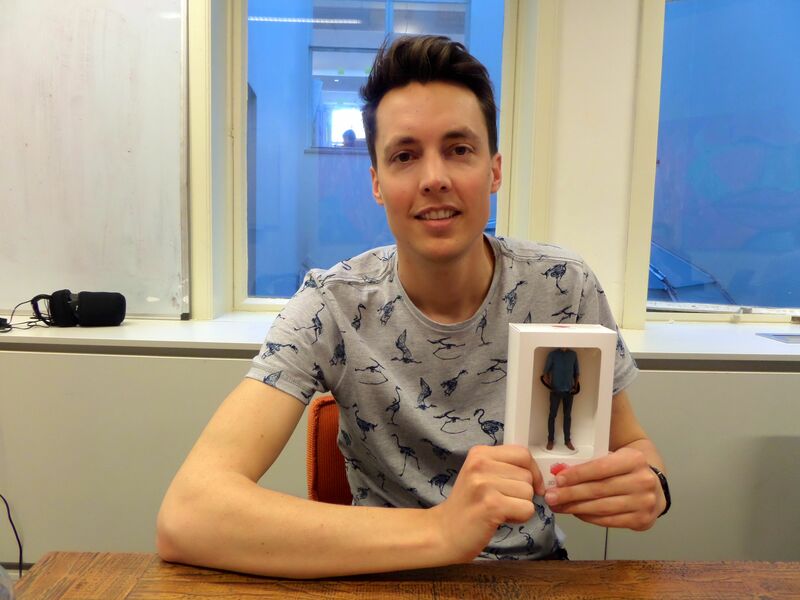 Here’s a picture of Brian with a 3D-printed version of himself. More office pictures below. Basically, 3D Hubs makes getting a 3D-printed, well, pretty much anything, easily and affordably, without having to house any equipment in the home or office. How does it do that? 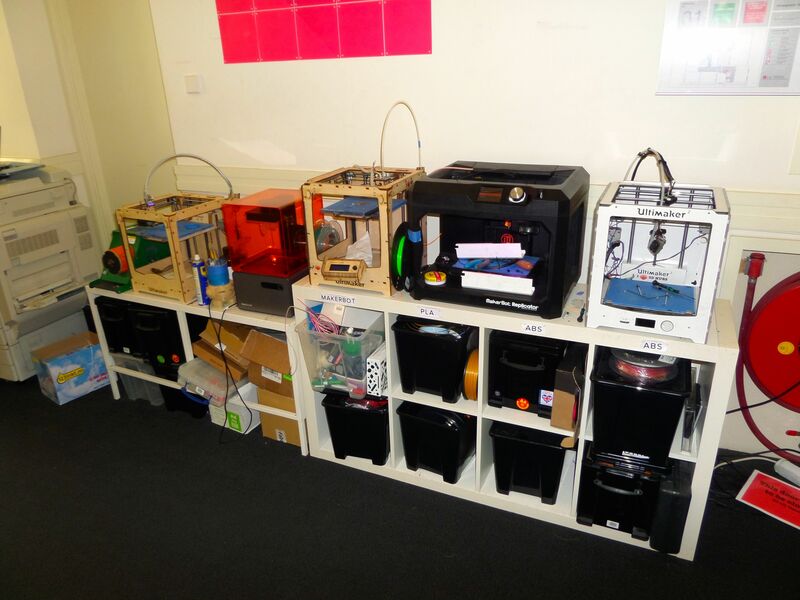 It does that simply but cleverly, by connecting people who’d like to have something 3D-printed but don’t have the gear to a network of people who have the equipment but don’t use it 24/7 (which in fact covers any individual or company that owns a 3D printer). And that network spans the globe. Thus, 3D Hubs sits right at the intersection the sharing economy and 3D printing, both of which are trends that are having an enormous (and increasing) impact on society and business. 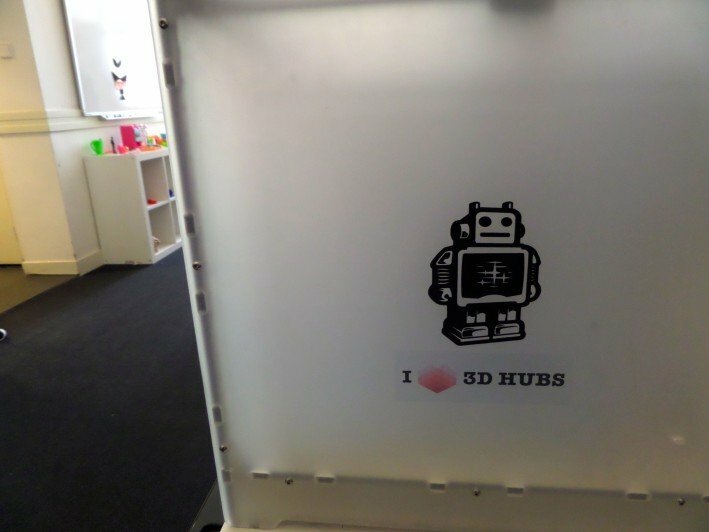 In the past few weeks, 3D Hubs has announced partnerships with the likes of Thingiverse, Instructables and Sketchfab in an effort to drive global growth of its network of 3D printers. But the most important announcement came last week with its introduction of ‘Teleport’ (not to be confused with startup Teleport), which it dubs the ‘3D Print Button of the Web’. Teleport allows any website operator or app developer to access 3D Hubs’ public API, and thus its network of now more than 16,000 printing locations across the globe. In the interview, Brian told me that 3D Hubs is now facilitating over 10,000 3D prints per month, and the aforementioned partnerships and the launch of the Teleport API should propel that number higher in the near future. 3D Hubs’s business model is basically taking a cut on every order, which means it needs to ramp up both the supply and demand side at a steady pace to scale up the business. 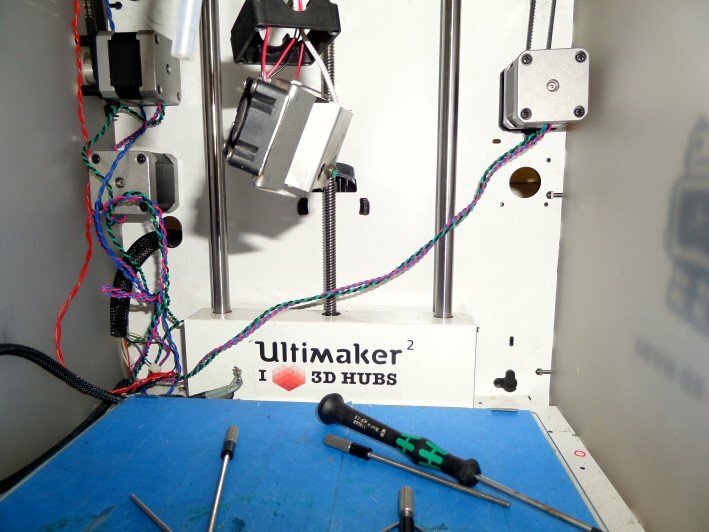 What’s interesting about 3D Hubs is that it’s essentially creating a network of micro-factories around the world and kickstarting a sharing economy around 3D printing at the same time. Hardly a threat to the likes of Materialise and Big Manufacturing today, perhaps, but you can see how the young company could carve out a sizeable piece of a growing market with this strategy and revenue model – and let’s not forget the startup’s only two years old. It’s an interesting company to watch either way.